OMG Posters! » Archive Get A Clue Design's Jeff Tweedy Poster - OMG Posters! 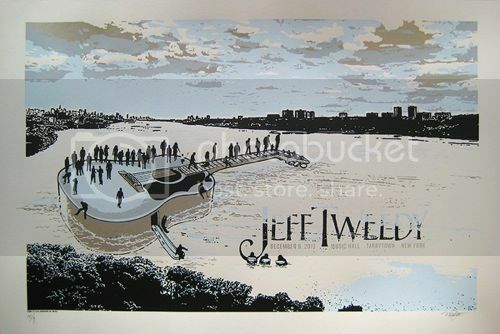 Get A Clue Design’s newest poster for Jeff Tweedy just went up for sale. It’s a screenprint with metallic ink, has an edition of 125, and costs $30. Visit GetAClueDesign.com.